What’s A Reasonable Price To Pay For Tax Return Preparation? Preparing tax returns is no easy feat as it requires specialized expertise and skills in accounting. In the tax season, every business is supposed to file a federal income tax return under law and, those who fail to do so, face heavy penalties and fines. When specifically talking about costs, they vary according to the complexity and comprehensiveness of your tax information. Moreover, tax professionals have a different fee structure that needs to be duly tracked prior to making a contract. Costs vary widely for tax preparation, from DIY tax prep software to professional tax preparers. With so many options, you need to set your priorities based on your tax situation in order to create a clean tax filing record. It can be quite an achievement when you come across and conceive an exceptional business idea, to which you are sure will work well for you. Your entrepreneurial skills and wisdom have created a business venture that is sure to yield significant gains at some point in time. Amidst all of this excitement comes a point when you have to file a federal income tax return in the tax season and you may have no idea how to deal with it. This is where the real misery starts and businesses shudder to lose their conscious and fall apart into pieces. 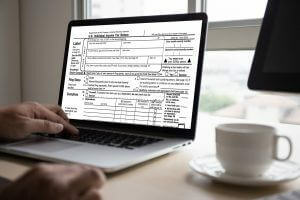 In order to prevent this occurrence, businesses need to either hire tax professionals to prepare their tax returns or use DIY tax prep software to evaluate how much they are liable to pay to the government. Depending on the complexity of your tax information, you need to decide which option is right for you and best suit your business’s tax needs. Preparing business tax returns is not as simple as it seems. It requires technical knowledge, skills, and expertise, which most of us lack. Most likely, it is ideal to spend a little portion of your hard-earned money on hiring the seasonal services of tax professionals if you expect to file a clean tax return and save yourself from the hectic process of the tax return process. The point is, whatever you invest on, tax professionals will pay off in the long course of your business’s journey. Generally, for preparing a simple federal income tax return, tax professional may charge anywhere around $100-$150. However, they may add more fees to your final invoice or settlement if the complexity and depth of your tax refund grows. If you own a small-scale business, you may not be able to afford hiring a tax professional to prepare your tax returns. If not, you can use DIY tax prep software as an ideal alternative. It largely depends on the frequency of financial transactions and accuracy of taxable bookkeeping records. There is a wide variety of DIY tax prep software and online options that calculate accurate tax returns. Moreover, they are affordable, fast, and user-friendly, which means you can trust tax prep software, especially if you can’t hire a tax professional. The best thing about DIY tools and software is that they are cost-effective and anyone can afford to acquire them with very little or no subscription fee. For fairly simple and straightforward tax calculations, DIY tax prep software can be used. However, for complex financial transactions, hiring tax professionals to prepare your tax returns is a smart choice. It is important to evaluate the effectiveness of your software and weigh its value of tax preparation against the cost prior to making the final decision of which option to go with—either DIY tax prep software or hiring tax professionals. Without a doubt, a well-organized yet clean tax filing can save you a lot of money and stress. https://www.completecontroller.com/wp-content/uploads/cclogo_main-long-300x63.png 0 0 Complete Controller https://www.completecontroller.com/wp-content/uploads/cclogo_main-long-300x63.png Complete Controller2019-02-13 01:33:172019-02-08 11:14:56What's A Reasonable Price To Pay For Tax Return Preparation? When Have I Outgrown DIY Tax Prep Software?